sausage making is simple to learn kitchen craft, and getting starte is easy and inexpensive. 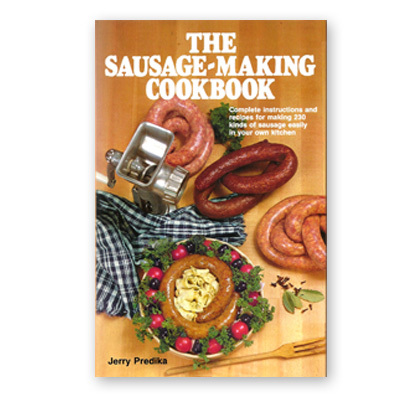 This book has complete instructions and recipes for making 230 kinds of sausage easily in your own kitchen. OUT OF STOCK!